WENATCHEE — Guadalupe Ceja’s tidy single-wide mobile home seemed fire-ready until its smoke alarm came under close inspection. At least a decade old, the wired-in, outdated alarm on the kitchen wall hadn’t worked in years. So she was eager on Saturday to have local Red Cross volunteers install two free smoke alarms — one in the kitchen, one in the hallway leading to bedrooms — to protect Ceja and her family. Rick Isaacson with the Red Cross, tests a smoke detector he just installed at the home of Guadalupe Ceja, left, while Annie Schannell, also with the Red Cross, plugs her ears. The two and other teams of volunteers went to mobile home parks in the Wenatchee Valley to install the devices for free on Saturday. This story originally ran April 9, 2016 in the Wenatchee World. Isaacson and fellow worker Annie Schannell went home-by-home Saturday in South Wenatchee’s Boodry Street neighborhood as part of the Red Cross Home Fire Campaign, a nationwide program to inspect and possibly replace millions of smoke alarms across the U.S. The campaign aims to reduce home fire fatalities by 25 percent over the next five years. 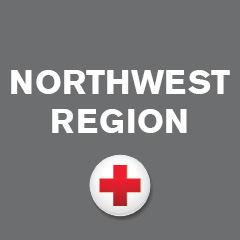 In Wenatchee and East Wenatchee, around 20 Red Cross volunteers broke into six teams to scour 17 mobile home parks — make that about 900 units — for smoke alarm problems. Dead or malfunctioning alarms or homes with no alarms were primary targets. The six teams carried a total of 500 new smoke alarms, mostly Kidde brand devices with 10-year batteries. Homeowners just needed to give a thumbs-up for installation of the free alarms. Team members were trained not only to install the devices, but also to educate families on creating a home-fire escape plan. Teams were equipped with white boards and markers to sketch the home’s floor plan, mark its emergency exit points and designate safe, outdoor sites for the family to gather. First-time volunteer Christy Binge said she got involved after acquaintances lost their homes in last summer’s wildfires in Wenatchee and an East Wenatchee family was saved last weekend by smoke alarms set off by fire in their home. Reach Mike Irwin at 509-665-1179 or irwin@wenatcheeworld.com. Read his blog Everyday Business or follow him on Twitter at @MikeIrwinWW.